We will plan every detail of your event! We are committed to personal services and uncompromising quality on receptions & events. We are a team of individuals passionate about what we are doing. We strongly believe that only with passion and 100% involvement, you can create special things, in our case, special events. 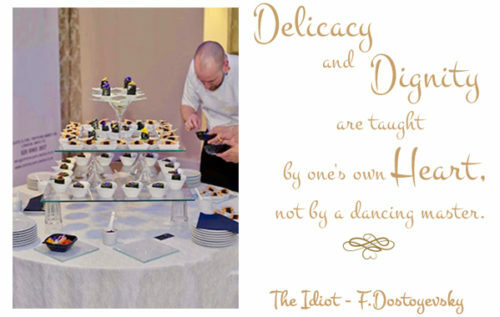 Here, at Idiot Exclusive Catering, we like to do things differently. We like to exceed our limits each and every time. Our main goal is to satisfy each and every person that would be kind enough to come through our door. We like to be the best. We have gathered the most creative cooks to join our team, the most meticulous event planners so the events hosted by us to be totally special. We have carefully chosen our partners so that every event would be a complete success. We take care of every aspect of the event, from venues, food, entertainment and decorations to photos and videos. We are here to make your dreams come true. The first step is to know each other. So, “pass by us, and forgive us our happiness”, – The Idiot, Fyodor Dostoyevsky. 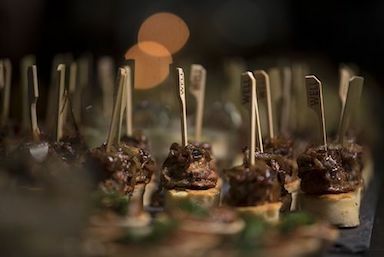 From food to entertainment, we’re here to put it all together and create the event of your dreams.